New Paperback: Grove Press. 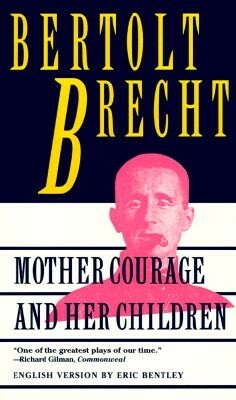 Written in response to the outbreak of World War II, this "chronicle play" of the Thirty Years War follows one of Brecht's most enduring characters, Courage, as she trails the armies across Europe, selling provisions from her canteen wagon. However, Courage pays the highest price of all. One by one, her children are devoured by violence, but she will not give up her livelihood-the wagon and the war. Read Full Description. New Paperback: Grove Press. 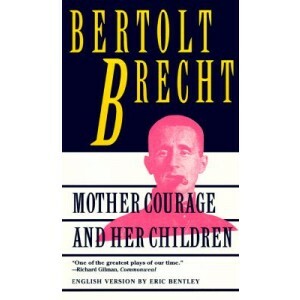 Written in response to the outbreak of World War II, this "chronicle play" of the Thirty Years War follows one of Brecht's most enduring characters, Courage, as she trails the armies across Europe, selling provisions from her canteen wagon. However, Courage pays the highest price of all. One by one, her children are devoured by violence, but she will not give up her livelihood-the wagon and the war.